When you’ve decided it is time for a Blaine Chain Link Fence Install it is important to look at more than one Blaine Fencing Contractor. It is understandable that you want the best bang for your buck! You’ve worked hard for your home and property, so it is only right that you get all that you want with your new fence addition. Arrow Fence is a Blaine Chain Link Fence Installation Company that will provide you the results you desire. Give us a call for a free estimate at (763) 755-0088. It is not every day that one gets a fence installed. So, it is understandable to be a little overwhelmed with the company choices, material choices and city code requirements. 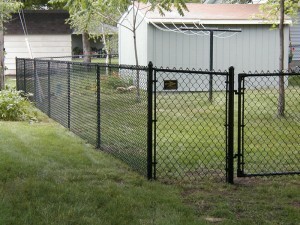 Arrow Fence will help you with every aspect of your Blaine Fence Install. From providing you with a long list of references to pulling the necessary permits for your fencing addition and helping you select the best materials, colors and custom features. Our Fencing Contractors do install fences on the daily. So, we are highly familiar with the products and materials the fencing industry and our company utilizes. We can help give you a better understanding of what your options are in a way that doesn’t overwhelm you. Contact our experienced, licensed and insured Blaine Chain Link Fence Install company to talk about all the options available for your new Chain Link Fence Addition. Great for Residential, Commercial & Municipal Properties and more! 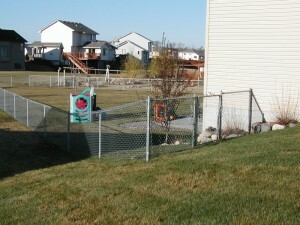 For a free fencing quote call (763) 755-0088!